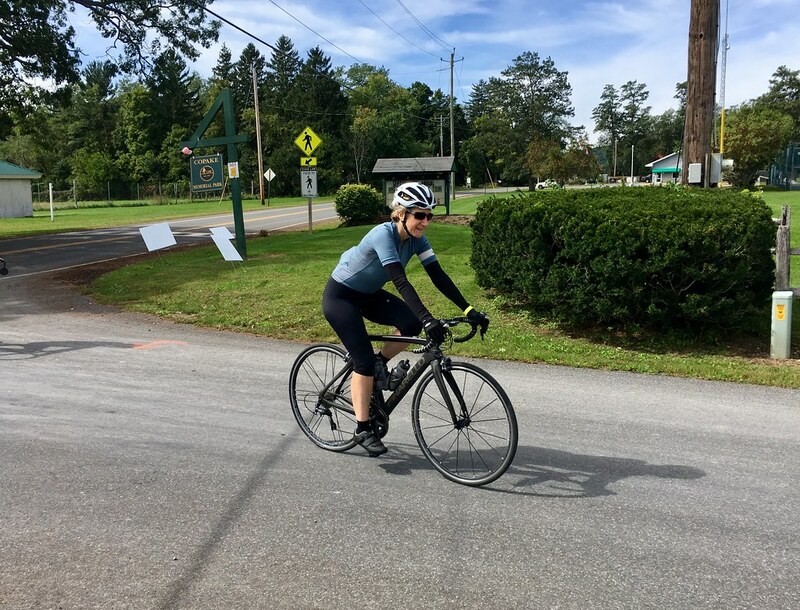 Free to register but donation to the Harlem Valley Rail Trail is encouraged. I'd say the tone is community ride, rather than sportive or gravel grinder. In fact, there is no gravel on this ride. The goal is to have as many people from the local communities participating as people from elsewhere. And kids. SO if you have kids - or can borrow some from a nearby lending library - this would be a perfect ride for that. 10, 18, 25, 35 and 50 mile loops. Not the typical event listed here perhaps, but end of September is a beautiful time to ride up in this area, the farm products are still coming in, there are a couple really nice dairies nearby, some museums, and great restaurants in Hudson NY or Great Barrington MA, either of which is a 30 minute drive from the Copake - Hillsdale area. So come along and do some zone 2 family work, eh? Unless your spouse or kids are Olympians. Then do the 50 miler and I'll sketch out some extra distance and/or nice gravel routes. My wife being proud of herself at the finish. Last edited by j44ke; 09-22-2018 at 07:19 PM.